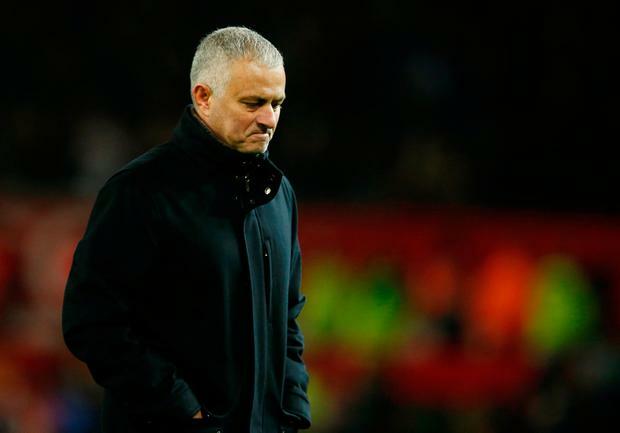 Manchester United manager Jose Mourinho has rejected claims that his players have turned against him and insisted they would be 'dishonest' if they are performing below their best in a bid to hasten his removal from the club. Mourinho is reported to have had a bust-up with Paul Pogba in a heated dressing room debate following last Saturday's 2-2 draw at Southampton, as United again failed to spark against a relegation-haunted side. The United then suggested he needed to produce 'a miracle' to secure a top four finish in the Premier League this season and while he distanced himself from those comments at his latest press conference, he was more forthcoming in his insistent that his players remain supportive of him. Ahead of his side's vital Premier League game against Arsenal, Mourinho rejected claims that he has lost the support of his dressing room as pressure mounts on him at Old Trafford. "I still don't understand that story," he stated. "If you think a player only plays when he is, in your words, behind the manager, what I have to call these players or, in this case, what you are calling them, is dishonest. "A football player is paid - and very well paid - to be a football professional. What is that? It is to train every day in his limits, to play every game in his limits, is to behave socially according to the nature of his job, is to respect the millions of fans around the world and to respect the hierarchies in the club. "If a player doesn't do that..one thing is perform well and perform not so well, another thing is to be a football professional. "If you say that a player plays well or bad because of who the manager is, you are calling the player dishonest. "I understand your question, but when pundits that were professional players say 'this player is not playing for the manager' - did they do that when they were players? Were they dishonest players? If they were they shouldn't be in front of a camera speaking to millions of people. "I disagree totally with that question. You have to analyse a player by 'is he performing, yes or no?' You shouldn't go in that direction because you are calling the players dishonest." He went on to state his belief that players will always perform at their best, despite some evidence to the contrary in his final days as Chelsea manager in 2015 and now at United. "You believe a player scores in his own goal and then runs and celebrates 'I scored in my own goal because I don't like the manager'? Do you believe in that? I don't believe in that," he stated. Mourinho was also pressed to give his views on Pogba's performance against Southampton and he offered up this guarded response. "I am not going to analyse the performance individually. I told after the (Southampton) game the reason why, in the second half especially, we didn't have those consecutive waves of attack," he added. "I told that the reason why we were not consistent and didn't keep the opponent under pressure all the time was because we lost too many balls. Not the best decisions in terms of how many touches I need to pass the ball, the speed of the decision. "I told that without saying one single name, and I am going to say exactly the same without saying any names. "The names I gave in Southampton were the names that I choose in a positive way to show that desire, that fighting spirit, that anger, that pride. When I told that (Marcus) Rashford was in a happy way, (it was) because I like to give good examples."